New businesses usually cut corners when it comes to designing websites, but over time, that low quality web design ends up costing them, a lot. 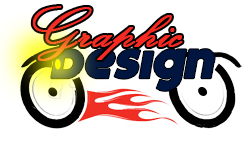 We have a seasoned in-house web designer offering unmatched services to Seattle, WA businesses. At iLocal, Inc., we offer high quality yet affordable web design services that will make your business look priceless. Websites are great marketing tools that influence buying decisions every day. We understand that the best Seattle website design is more than just a pretty face. Beautiful designs are important but they alone do not drive conversions. The true goal of a web design is to impact and attract more customers. A web design can either make or break your business. Put your best foot forward by having our talented web designer create your custom website. If you are not happy with our work, neither are we. We won’t stop until we have figured out exactly what will best serve our clients. Visit iLocal, Inc. today at 92 Lenora St Seattle, WA 98121. An effective website design has more than just graphics. It has a perfect blend of new concepts, ideals, strategy, technology and much more. Our web designer in Seattle ensures that all of the design elements are aligned with customers’ specific business goals and objectives. If you would like to schedule a consultation with our web designer in Seattle, please give us a call on 206-790-1999.